The latest betting odds have just been released for this weekend’s “UFC 113: Machida vs. Shogun II” event and it appears the Gambling Gods like Lyoto Machida’s chances of retaining his strap inside the Bell Centre in Montreal, Canada. 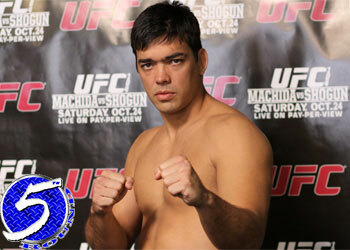 Machida and Mauricio “Shogun” Rua initially met in a hard-fought battle at UFC 104 this past October. Although the champ was awarded a 48-47 score from all three judges sitting Octagon-side, most, if not all, of the fans inside Staples Center in Los Angeles believed Machida got away with highway robbery. The verdict was so questionable, it prompted UFC president Dana White to schedule an immediate mulligan. The betting line for their mulligan has been out for quite some time, however there has been no movement. Let’s see where the money goes as game time steadily approaches.